A surprise court ruling has revived the possibility of a £14bn lawsuit against credit card firm Mastercard. The Court of Appeal in London has ruled the Competition Appeal Tribunal must reconsider the class action against the firm which it threw out two years ago. The claim alleges 46 million people paid higher prices in shops than they should have due to high card fees. Mastercard said it continued to "disagree fundamentally with the basis of the claim". "This decision is not a final ruling and the proposed claim is not approved to move forward; rather, the court has simply said a rehearing on certain issues should happen," it added. The financial services firm said it was seeking permission to appeal against the ruling to the Supreme Court. Former financial ombudsman Walter Merricks - who is behind the claim - is trying to bring the class action on behalf of all individuals over 16 who were resident in the UK for at least three months between 1992 and 2008 and who bought an item or service from a UK business which accepted Mastercard. 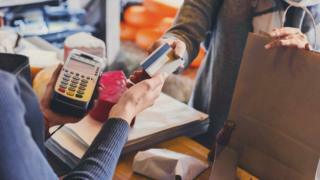 He alleges that fees which Mastercard charged businesses for accepting payments from consumers, known as interchange fees, led to UK consumers paying higher prices on purchases from businesses that accepted Mastercard. If the £14bn was awarded and divided between the 46 million eligible people the payout would amount to £300 each. Mr Merricks' original claim was thrown out by the Competition Appeal Tribunal (CAT) two years ago. But on Tuesday the Court of Appeal said the CAT had applied the wrong legal test in making its decision. Mr Merricks' claim will now go back to the CAT, which will have to reconsider whether to allow it to proceed. He said he was "very pleased" by the decision. "It is nearly 12 years since Mastercard was clearly told that they had broken the law by imposing excessive card transaction charges, damaging consumers over a prolonged period. "As a result we all had to pay higher prices in the shops than we should have done - while Mastercard have pocketed the profits. Mr Merricks' solicitor Boris Bronfentrinker, from Quinn Emanuel Urquhart & Sullivan, called the decision a "landmark day for all UK consumers that Mr Merricks seeks to represent". The proposed claim follows the European Commission's 2007 decision that Mastercard's interchange fees were in breach of competition law. The government says IS may be behind the attacks but that threat reports had not been shared.